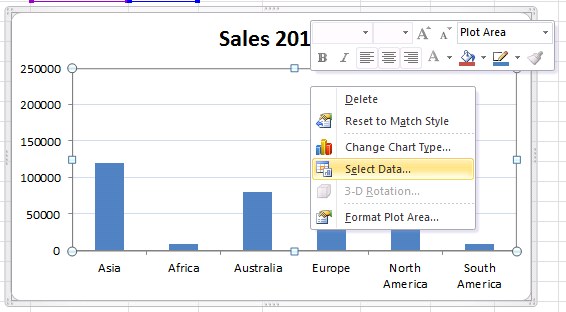 You can easliy change data labels in a chart. 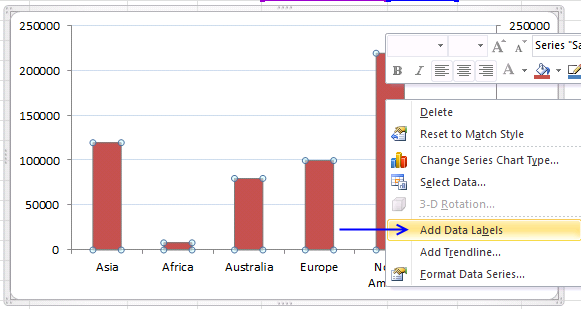 Select a single data label and enter a reference to a cell in the formula bar. 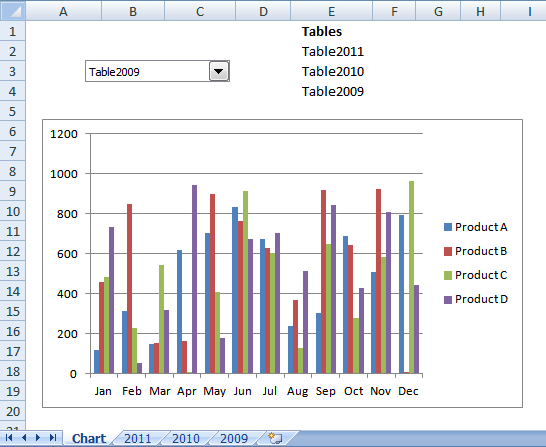 You can also edit data labels, one by one, on the chart. 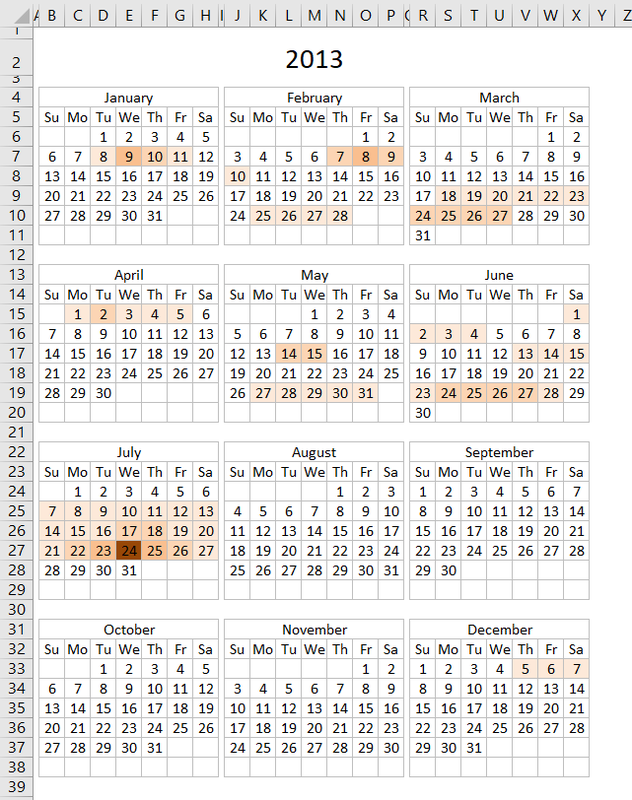 With many data labels the task becomes quickly boring and time consuming. 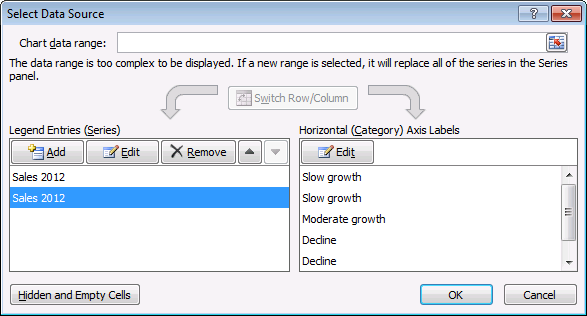 But wait, there is a third option using a duplicate series on a secondary axis. Note! Before you continue reading. 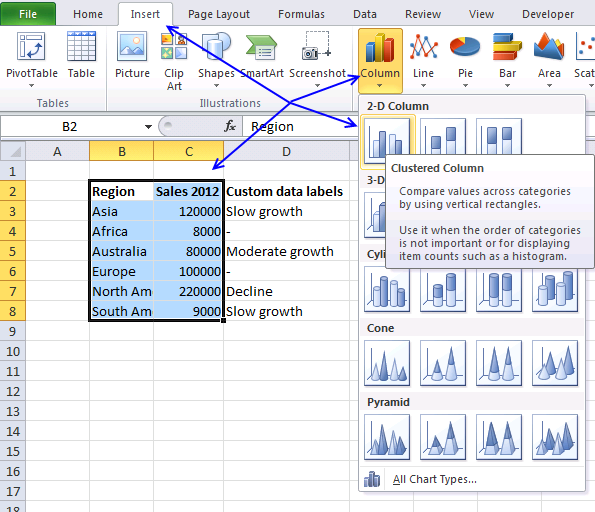 If you own excel 2013 or a later version you don't have to do the work-around presented below, just enable "Add values from cells" in "Format Data Labels" settings and select a cell range. 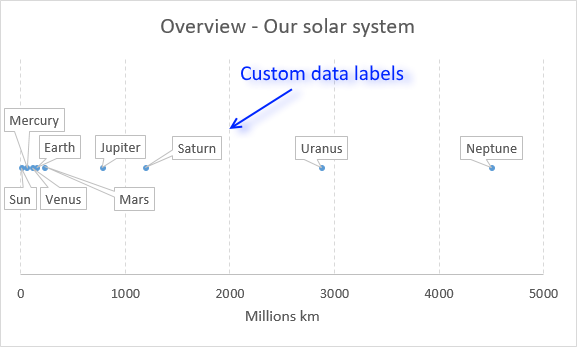 The animated image above shows you dynamic custom data labels. Here is how you build them. 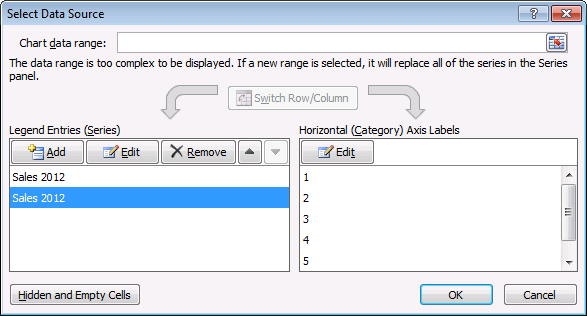 Or for the slothful there's the beautiful free addin from Rob Covey called "XY Chart Labeler" and in it does just this very thing in couple of steps! I tried the solution above and it worked! I am happy you got it working! After you have added the second series on the secondary axis (the copy of the first). 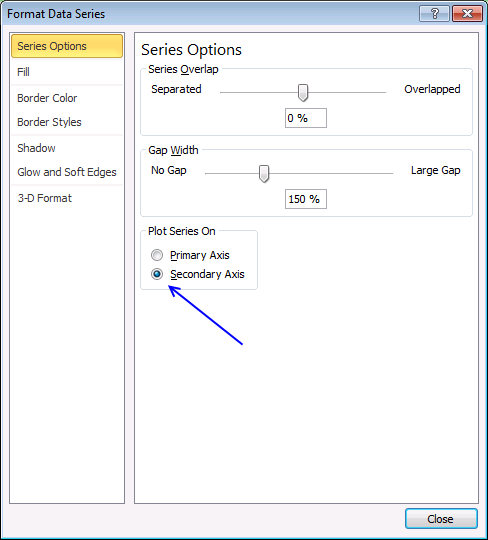 Right click and change the series chart type. Select the clustered bar. 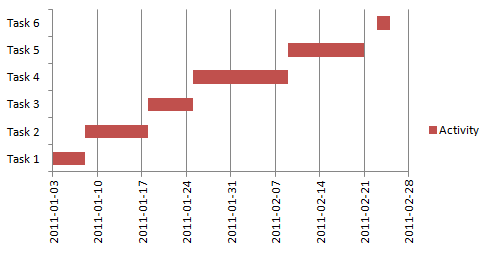 Now it's changed to a bar chart that you will be able to change the horizontal axis label on it. 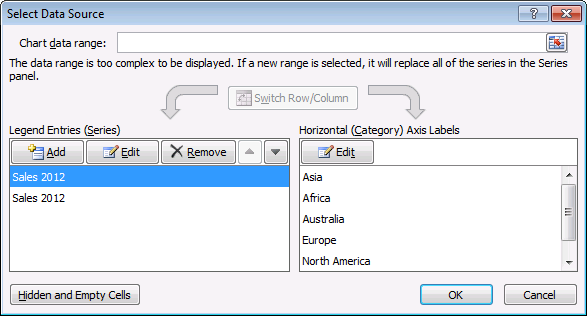 Once you have the labels in place then right click on the bar series and select 'format data series'. Now change the Fill to Solid Fill and make it the same color as the background. Now make the transparency 100%. This should make your bar chart series 'disappear' but retain the labels. Very interesting but I can't get that to work? Thanks a lot. It's very helpful hint. Unfortunately it doesn't work with scatter plots. Though i bet MS Office 2013 has some additional options for that. 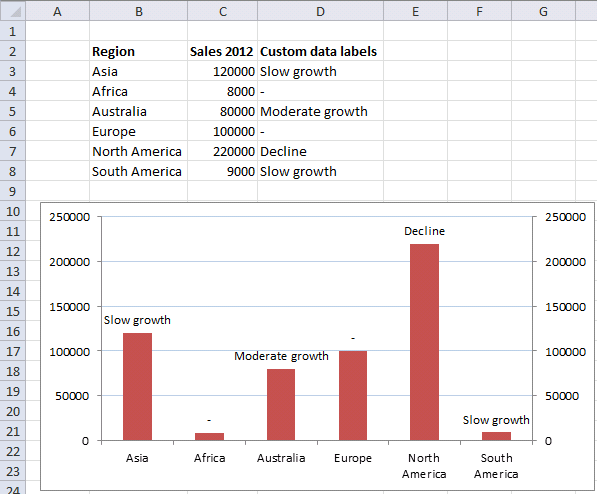 If you have excel 2013 you can use custom data labels on a scatter chart. 2. 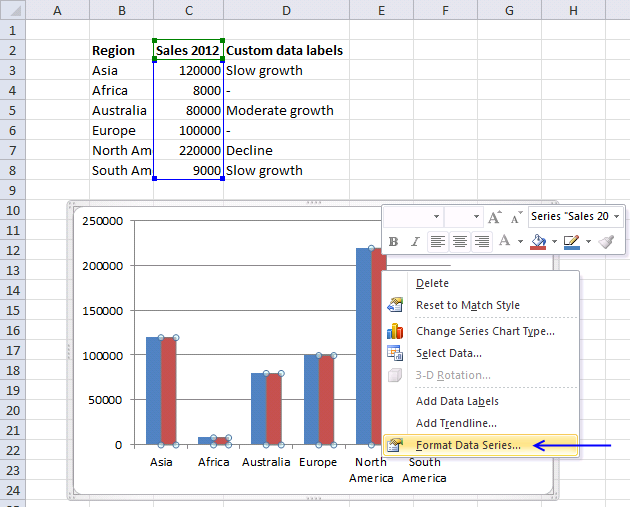 Click "Add Data Labels"
4. Click "Format Data Labels"
5. 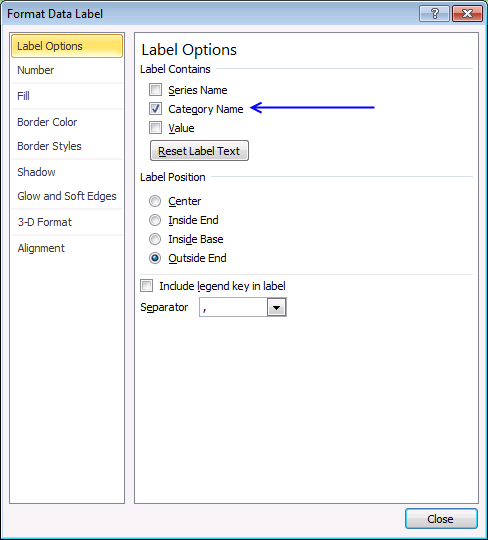 Enable check box "Value from cells"
7. 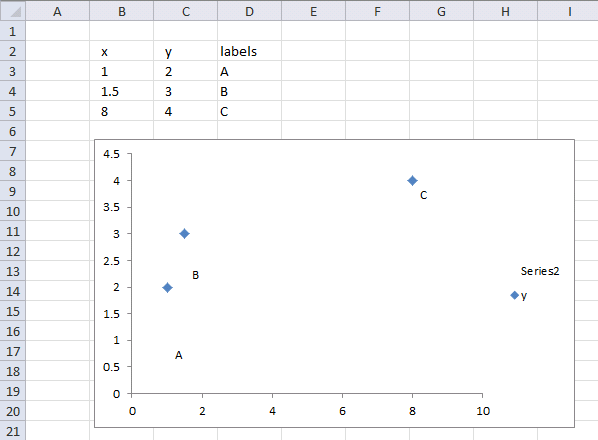 Disable check box "Y Value"
My problem is I need to have data labels added automatically as data is added; however, I have multiple series feeding the scatter plot so the data labels are specific per series. Series 1: Column 1 = X Values; Column 2 = Y value; Column 3 = Bubble Size; Column 4 = Bubble (Data) Label and repeat this for an additional 56 series. Some cells will be blank as well so count 1 does not work for me (or at least not the code I was using). 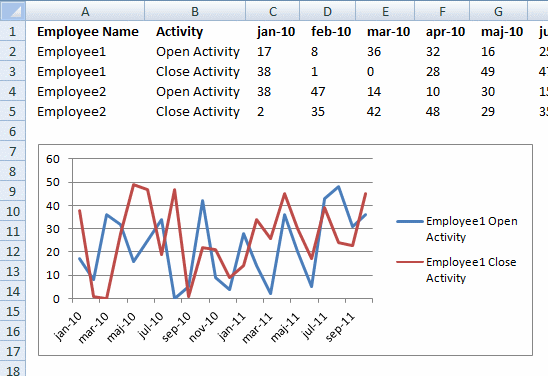 I can rearrange my columns; however, I need to accomplish the automatic population of data labels.